How many times have you dreamed of setting your own hours and having unlimited opportunity to earn the kind of living you want? Or, maybe you’re in the middle of a career transition and you’re looking for a new opportunity? There is a “hidden” opportunity out there that most people have never heard of. Business brokers help business owners sell their businesses and they help investors and potential business owners buy existing businesses. Think of it like a real estate agent for franchises and local businesses. 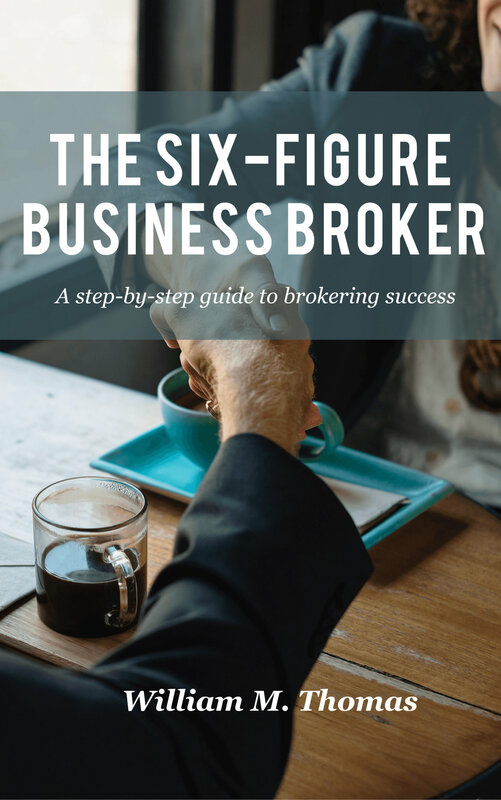 Most people don’t know about becoming a business broker, because it isn’t widely advertised or talked about. However, many real estate agents (and even some non-agents) have made six-figure incomes representing buyers and sellers in business transactions. If you already have some real estate experience, this book aims to take you to the next level in your career. And if you’re a newcomer to the commercial real estate world, this book contains step-by-step guides and insider information to help you understand and join this lucrative market. … and how to keep those clients engaged through the final sale! Author William “Bill” Thomas is the founder and owner of Florida Business Brokers, LLC, a company of 30 top business brokers serving Florida business buyers and sellers. Bill has developed a proven sales model that he used to take his company from a one-man operation to a company representing buyers and sellers in multi-million dollar deals. For the first time, Bill is sharing his step-by-step business model in The Six-Figure Business Broker.